We see a lot of requests for info on Amish-related businesses, so awhile back I decided to put together a directory of Amish furniture sellers. You can find Amish furniture businesses in most if not all of the 50 states. As for the few states for which I don’t have anything currently listed: some I suspect likely do have Amish woodworkers or retailers (ie Mississippi) but I just haven’t been able to get specific details. If you have an Amish furniture business that you’d like listed, or know of one, you’re welcome to email it in to me, or simply add it to the comments section below. Please include business name, address and phone number. This list is by no means comprehensive but should be a pretty good start. This was actually a pretty sizeable undertaking which took up a lot of spare time the past 6 months (now on to the next project! 🙂 ). I’ve still got a couple of states to finish (PA, WY) and haven’t gotten to Canada yet. I hope people will find it useful. we only have 1 furniture maker in this community so far… though we have many builders. On-ramp for I-81, turn right on Deneve Road for about one mile. Shop is at the intersection of Deneve and Ferber Road. On the left. Watch for sign. Half way up Deneve Road is an Amish farm on the right with buggy parked by the barn. thankyou george v! i wasn’t sure of the street address… my best amish friends are on the farm halfway up the hill on deneve rd 🙂 (i took crist and his wife around when they were first moving in) are you the one who did the website for the furniture? and the postings on craigslist? Hello, I have an Amish rocker made and signed by Crist A. Byler, back on Mrach 27, 1998. I bought it from a flight attendant who was moving away from Denver. She said she got it at a Craft Fair, from the maker. I like it so very much. Now I would like to purchase matching bar stools (2). I have searched the internet, and furniture stores what do special orders, but nothing seems to match well. And I will probably need a custom size, short. Is the Crist A. Byler you mentioned the same person? I can send you a photo of my rocker if that would help. Please check out the Holmes County, Ohio area — wonderful furniture makers — have several pieces from there. He does FANTASTIC work. He was recommended to us by a sewing machine dealer in the area. While we were visiting an area quilt shop, we mentioned that we had ordered a sewing machine cabinet from Hill Top Furniture and the shop owner [an Amish woman] told us that both of her daughters had gotten sewing machine cabinets from that shop as wedding gifts!!! One thing I appreciate about Amish furniture makers is that you often find them specializing in one item or area. An Ohio acquaintance makes Time Out chairs for little ones, for instance. Sounds like Samuel S has a strong foothold in his sewing machine cabinet niche. Hilltop Furniture: When a slightly lower price means nothing. Sam Stoltzfus is probably the best of the best. Not the cheapest, but the very best in quality, especially for a kitchen where cutting corners just never pays… at least in my experience. I have worked with quite a few Amish furniture makers… most of them are good in their own respect, but Sam at Hilltop Furniture was the only one that excelled in every area, each and every time. I have worked with him a number of times. I used to do the finishing on custom kitchens years ago, so I know what to look for in the small details, and it makes me much harder to please with getting the fit and finish just right. Sam at Hilltop is the only one that always excels. VERY highly recommended. Yikes, I think I just figured out why today’s email notification hasn’t gone out to subscribers yet about this post. It’s Daylight Savings Time. Duh. It seems DST messed up the scheduling and it never went out. And here I’ve been beating my head against the wall trying to figure it out 🙂 Well, I hope that fixes it. In Poland DST is usually off by a couple weeks compared to the US, so it hasn’t happened yet and it wasn’t even on my radar. Chill out, have another pierogi! Char you don’t know the half of it–just finished off my 3rd plate of the day! They are the only complete dealer I know for thegristmillcollection.com sewing machine cabinets. If you want to know the current plain businesses, this is a must-have directory. That last link actually let’s you “browse” it online, actually flipping through its virtual pages. It’s a pretty cool interface I hadn’t seen before. There is an add in the Budget for Amish Woodworker’s of America Directory. That is a very good guide Marcus. It pretty much focuses strictly on Amish woodworkers, not so much non-Amish retailers selling Amish furniture (though they do include a handful of related non-Amish businesses). Last year I met the person who puts it together, an Amish furniture maker out of Indiana. This year I contributed a short piece on Amish woodworking for the latest edition. This is the second year they’ve published it. There is also one in Smyrna, Me but I don’t have the details. There also might be a second one in Unity. I will try to check on that soon. Arden specializes in kitchen cabinets, but also makes furniture. Nice job Eric. I can imagine how much work it was to compile this! You have included all the shops in my area of Michigan that I know about, and several I may have to go visit. Thanks! Thanks Kevin, I do appreciate that. Thanks also to all who’ve been sharing businesses and addresses. I’ve tried to give this a good base of businesses but there will always be changes and more to add, so it is helpful. Hello, I have just purchased a little dollies’ pram from the USA. Both my husband and I think it has an Amish look about it. It is about 1940’s and collapsible, made of a Rexine type substance. The hood/shade is the same shape as the Amish buggies. I would be interested in any comment. A. Need to find some chairs! Not just any chairs, but the perfect chairs. I found some chairs online that I fell in love with, and after an exhaustive search, found that they were made by Samuel Stoltzfus at Hill Top Furniture. However, now I find out they no longer make them although there are pictures of them all over the internet, saying they are still for sale. I am wondering if these chairs are so unique that nobody makes them anywhere except for him? I realize many of the Amish are not going to have web sites, so short of touring every Amish furniture maker in America in my search for these chairs, do you have any recommendation on how I could find out if someone else makes them? 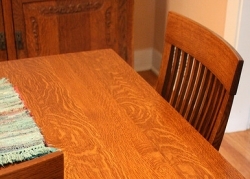 I have seen a lot of Amish Furniture stores around, but I had a good experience with dutchcrafters.com. designs and marketing program. Details available. Great opportunity for all. Saving Shepherd is a small, family run company. They work with a network of Amish Craftsman in PA, OH and IN . They offer personalized service and are able to accommodate custom projects. If you don’t see what you need on their website you can contact them and they’ll match your project with the best suited craftsman.